The Marsh Fritillary butterfly (Euphydras aurinia) is listed on Annex II of the EU Habitats Directive. Ireland is therefore obliged to monitor and regularly report to the EU with regard to its conservation status. Between 2013 and 2015, BEC Consultants undertook surveys of Marsh Fritillary in Counties Louth, Meath, Monaghan, Clare, Kerry, Galway and Mayo. 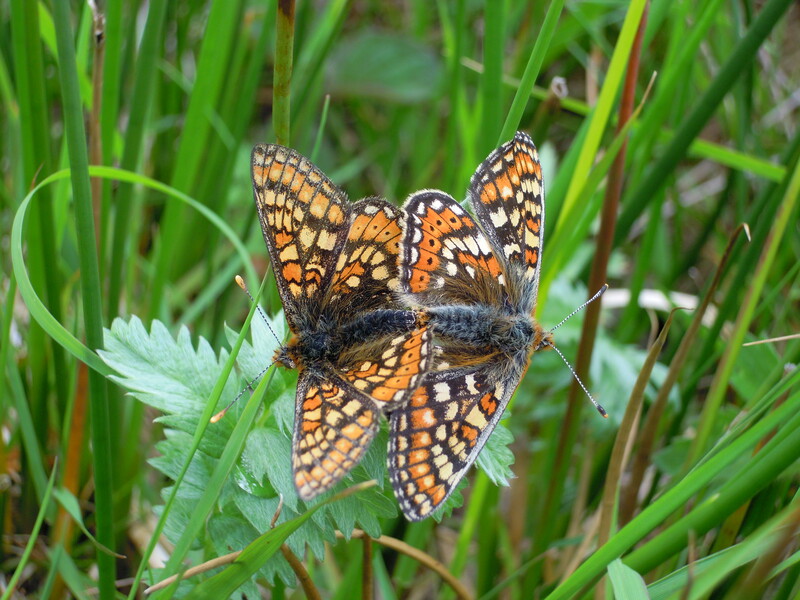 The aims of these surveys were to determine if suitable habitat for Marsh Fritillary was present within the selected counties, to record the extent, general characteristics and management of this habitat, and to determine the presence of breeding populations. At the site selection stage, BEC Consultants conducted a desk-study which made maximum use of existing data such as external reports, digital datasets and relevé data in order to refine the list of potential survey sites. At each field survey site visited, a rapid assessment was made by the field team to determine whether suitable habitat existed at the site, based on the presence of the Marsh Fritillary larval food plant (Succisa pratensis). Once suitable habitat was identified, it was mapped and subject to a habitat condition assessment. Habitat condition assessments involve recording vegetation characteristics at a requisite number of stops within the area of suitable habitat to assess the level of habitat suitability for the Marsh Fritillary. Characteristics recorded included vegetation height, abundance of S. pratensis, presence of structured vegetation, low invading scrub and stock grazing. In addition to this, larval web searches were conducted within these areas. At sites where populations of Marsh Fritillary were encountered, species threats and impacts were also recorded. Other Marsh Fritillary surveys conducted by BEC Consultants include the Galway City Outer Bypass Marsh Fritillary Survey in 2013 and a Survey of Marsh Fritillary and Rare Bumblebees in Annex I Grassland Habitats in 2010.